Got your pinch of salt ready? Video Product Distributors have posted up some information relating to the possible SKUs for Nintendo's Wii U console. In case you didn't know already, VPD is a distribution company which counts Amazon, Blockbuster and Overstock as some of its customers. We can only assume that the $299.99 and $349.99 bundles include additional games or peripherals - an extra GamePad, perhaps? What are your thoughts on this? Do you think these are legit figures, or are VPD just guessing? Lets us know in the comments section below. Yes please!! I hope this is the final price... but I don't see why it couldn't be, I always thought they should add a few versions, bundled with extra goodies. similar to the different versions of the PS3, just so those on a tight budget can at least get the console in the meanwhile and play the games. All those prices fit me just fine. Even better if they include more, hopefully the $349 bundle includes a WiiU Pro controller and NintendoLand. That's be a superb deal for me. I'm not getting my hopes up though. September 13th should reveal whatever I need to know. So I might as well hold my breath and wait. I can't believe we're just over 2 months hopefully away from release and we still have no concrete details.If this rumour about the price and different bundles is true then surely Nintendo should be confident that everyone will be happy at that pricing and increase every ones anticipation for it.Just wondering if I buy 1 here in Thailand will it be region locked to only play Asian games? I will wait until Sept. 13. I already have enough money to buy 3 of these consoles without a problem, so I am more interested in what comes with said packages, as well as color of the console. I just find this tidbit highly unlikely as 11/11/12 is the day Nintendo is releasing Paper Mario in North America on the 3DS. I still wouldn't mind this date being a week or two late. Would time nicely with the possible Game of the Year AC:III. 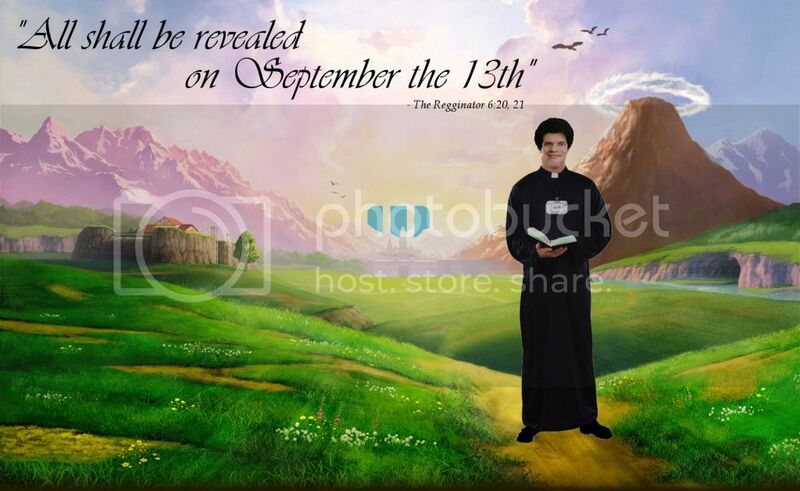 Ah I forgot about September the 13th,at least its not a Friday! I think this may just be three placeholder SKUs, so when the console's price is released they'll have one ready to be used. If the actual price for the system alone is $249.99, I think it's safe to say the Wii U has won the console race already. Seeing as the 360 and PS3 have just recently gotten that low in price themselves. In Pounds sterling that sounds sweet, but UK is a place of rip-offs so it'll be poorer value over here. I liked it better when the price was rumored to be $200. @Kirk Sorry to say, but since the most recent Nintendo systems (3DS and Wii) launched at $250, that would be insane. I've got $400, so if this is the final price and games are $60 each, I will be able to get two games and my Wii U Basic Package. $250 for the base system would suit me just fine! I hope it's actually feasible. Nintendo Italia openend a whole new section about the Wii U, plus rumors of the Nintendo Fall Conference in 13 September are on the web. $250 is for bare bones unit to hedge bets? Console, Adapter, GamePad, and NO game, NO wii Remote, etc. $300 for... NintendoLand and something else? $350 for Wii remote plus and nun chuck?... or maybe BLACK. Not sure about the breakdown, but the low cost one with a bare bones bundle seems likely after the 3DS debacle. Having at least 2 SKUs is a GOOD idea, I think. Any reason NL covered this rumour but not the Gamestop presentation $200 rumour that was all over the net this weekend? Besides the occasion DS bundles has Nintendo ever done a home console bundle? Seems weird they would start with 3 bundles, each exactly $50 apart. I don't blame them as some retailors would force them upon us anyway, just think it's odd. If they have a bare bones $250 w/o a game I think that's a bad idea. ANd if they are having problems producing them as rumoured then having 3 skus isn't going to help in store stock any. 9 days to the 13, and then we'll hopefully know. This seems to be about right to me as far as the basic price goes, though maybe $50 more. The multiple system prices could also be possible, depending on how they handle it. I'll know for sure soon enough. Considering the Wii U is barely more powerful than the PS3, and doesn't come with a HDD like PS3, I'ld say $249.99 is a great price, and any higher and you'll see the exact same problem they had with the 3DS dropping it's price quick. I'll be happy enough to get the more expensive bundles depending on what's in the box, but if getting it cheaper without something like nintendoland is an option, I'm going for that as I've got no interest in mini games and the pile of rubbish party games that's swamped the wii. The Wii was also $250 when it was first released... and it was also a generation behind. Hmmm...... I just hope the third-party games are better this time around. @hydeks How would you know whether or not it comes with an HDD? I love this, and the price could work too. Wii U, 350GB, $349, bundled with Nintendo Land and Gamepad Pro. 350.00 is for me I hope its true let it be a purple Wii U. Need a game like Battalion Wars 3. So, 3 WiiU bundles at $249, $299 and $349 is a believable rumour but one WiiU at $199 is " a huge pile of crap". Yeah, that makes a lot of sense. Not. I can't imagine a WiiU with either 250GB or 350GB, all 3 bundles would have 8GB. Or maybe 8, 16 and 32 like a phone or tablet. Those prices seem pretty realistic, but I'm still waiting on the September 13th announcement to know for sure. Can't wait! Nintendo has confirmed that the WiiU will not include a HDD in the box, only 8GB of flash storage. It will, however, support exterior HDD's with USB ports or the usual SD cards. Hopefully it'll support SDXC as well and not just SD and SDHC. Don't believe that. It will never happen. They said the Wii would support external hard drives as well but it never happened. I've never heard Nintendo claim that about the Wii, only that it supports SD cards.. Source? "Wii U uses an internal flash memory. It also supports SD memory cards and external USB storage." Also, don't forget that Nintendo want to offer full retail games on the WiiU eShop. With a disc space of 25GB SD cards won't be enough. They're gonna be forced to support HDD's. Aaaahhhh.... i'll buy at a high price! 249 sounds just right for the wii u. heck even 300 isn't bad for the system seeing that most poeple drop 200 and upwards for new cell phones that lasts for maybe 3 years the most. so lets hope they don't drop the bomb on us and charge us 600 for it. but i don't think ninty would go that high. This is good news - $250 is really reasonable. It will be interesting to see what the higher priced versions include. Sep. 13th can't come fast enough. I heard it would be about $450 from a gamestop employee who claimed it was leaked at one of his meetings. I'm taking that with an extra big pinch of salt because I don't want it to be true. I'm hoping $300. $250 would be great, but rather low. I would be happy with $300 if it came with two gamepads or a gamepad and a wii remote. If this turns out to be true, I'll probably get one of the higher price levels. Having two controllers at launch will be very good for playing with family. Different SKUs is cool enough. Different version of the hardware at launch is definitely NOT cool enough. Microsoft and Sony both shot themselves in the foot big time with that take on marketing their current systems. Lo and behold though, nothing points toward different hardware versions being the case, just different bundles, which I am cool with. Why not, right? The Wii came with WiiSports at $250, so the basic-basic-basic bundle should at least have that. Or we can think a bit more realistically (and slightly wishfully) and eliminate the Wii Remote Plus and nunchuck from each bundle and just add another game. For example, they could have NintendoLand with the $250, NintendoLand and NSMBU with the $300, and NintendoLand, NSMBU, and Pikmin 3 in the $350. @rjejr If the Wii U is $199, will anyone honestly take it seriously as a next gen, let alone even a current gen, system? And I never said all three prices to be right, I said $249 sounds reasonable. I'm actually expecting it to be $299. @kyuubikid213 I hope NintendoLand comes with the system, truly I do!!!! I like this pricing a lot. I doubt though the extra bundles include a second gamepad when there aren't even any games that support two gamepads yet. Maybe the extra bundle includes the new gamepad pro. Also, I don't want to pay an extra $50 for a pack in game - I could buy it separately for the same price! If the pack in game was mario, I would do it, but not for nintendoland. I'm hoping for a half SEGA Saturn. As in, "It's actually available now," but not the price part. I know it won't happen though. @hydeks Please learn to grammar. Also that was announced over a year ago, it could have easily changed since then. If they are leasing it this cheap it better be able to keep up with Sony and Microsoft systems. I am not ready for another generation of a Nintendo system with no third party support because of the system's lack of power. You guys need to be thinking about the future, not just launch day. 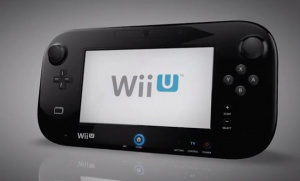 I still say $699 Wii u console only on December 26. Game Pad is $350 extra. If these prices are true, Sony and Microsoft are going to have a hard time competing. I hope it's that cheap. I will not pay more than $250, if it's more expensive, i'll better pick a PS3, 360 or wait until a price cut. Nothing is certain until the 13th, though this pricing is probable. I take this with a grain of salt. $250 would be a steal. I think it would be stupid to pack it a wii remote plus or nun chuck. Many already have those. More like a Wii U pro controller. Nintendo land isn't worth an extra $50. No packages will com without the wiiu pad. that would be stupid of them to do. @wiiwii And it wouldn't surprise me one bit if it's delayed in Europe. Japan will be getting it defo this year, I'd say the US also, but Europe, I'm not so sure. The Wii and 3DS are selling well, so Nintendo can still keep going for a bit if there is a delay in Europe. youre telling me it could be only 50$ more than a 3DS XL? are they overpricing the 3DS now ? Geez... again ? i cant bring this thing in my living without the fear that my kids grasp that tablet...breaks it. scratch it... and thats a problem. I barely let them play with my ps3 gamepad, i just cant imagine having them using a WiiU tablet. Or simply put £250 in UK ponds. @Samholy You barely let your kids play the PS3? Well, they'll thank you when they're older. I was expecting a $250 price tag to begin with, so this seems reasonable. The priciest bundle is probably a "gamer" bundle or something, complete with a Wii U Pro remote and 250-500GB HDD, and maybe a Wii remote. I'm gonna put the second at being a regular bundle, but with an HDD and/or Wii remote, and the first as just the Wii U and remote. Oh, and I think all three will come with Nintendo Land. The idea for two gamepads is nice, but have any games even bee confirmed to use two yet? Besides, I think a hard drive is a higher priority if Nintendo wants to have retail games available digitally day 1 as they've said they do. Gotta say I'm pretty excited. I hope the controllers are comfortable and the games aren't region locked. I feel like I might be disappointed on both of those accounts. Very excited about the wii u announcements. Far moreso than anything apple has to announce. I am a ipad3 user and a Nintendo gamer. No comparison in my world. @19Robb92 No it doesn't, but Nintendo had a hard time making it a selling point with the games it has.